It‘s more fun to robaux. 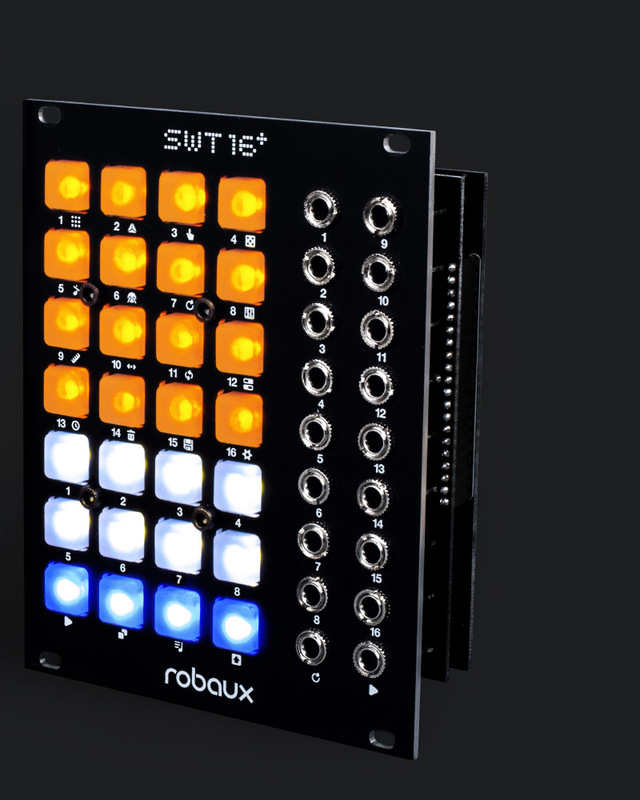 Programmable like a classic TR machine, the SWT16 can be used not only for triggering drum sounds, but also for Envelopes, S'n'Hs or resetting LFOs. The SWT16 is polymetric - each track can have a different length, from 1 to 64 steps. Even more complex rhythms succeed with the individual clock divider per track. The Sweet Sixteen Plus is perfect for triggering drums, envelopes or modulation sources. 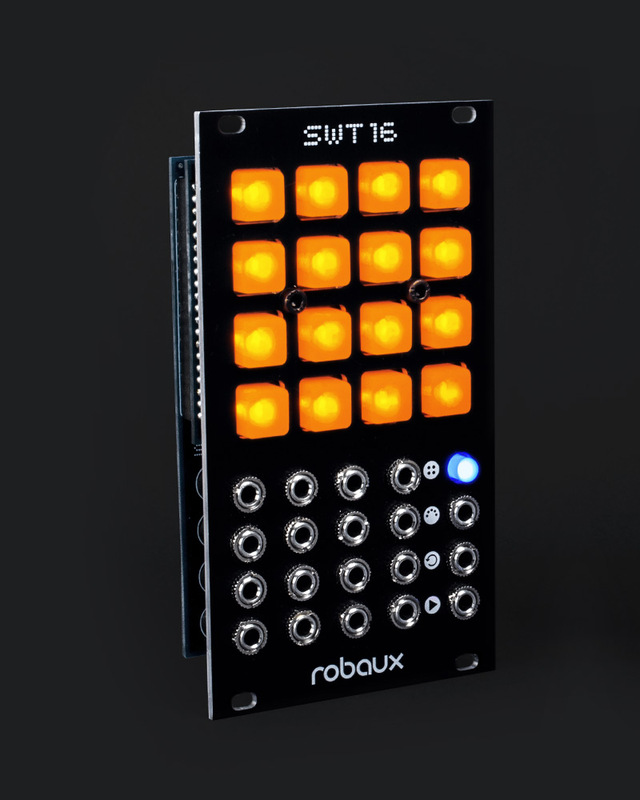 With the new member of the Robaux family, you can switch between eight different patterns. This will allow you to create even more exciting performances. You can store these patterns in up to 16 memory banks.